Murder by Gaslight: Murder Told in Pictures. 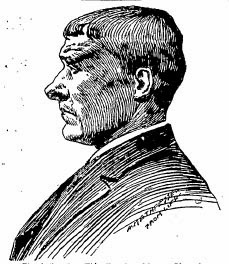 Robert Hoey told police that as he was coming home from work in the early hours of March 15, 1898, he literally tripped over the body of a dead woman in the courtyard of the tenement where he lived at No. 27 Monroe Street in New York City. An autopsy revealed that the woman had been strangled to death and the police believed that the body had been dragged to the courtyard known in the neighborhood as “Hogan’s Alley.” She was about thirty-five years of age, with light complexion, light brown hair and blue eyes. As she lay in the morgue several people claimed to identify the woman but in each case the identity proved false. Mrs. Downing, housekeeper at 27 Monroe, said she had seen a group of men standing in the courtyard at around 2 o’clock that morning. Hoey changed his story then, and said he and two friends, wagon driver Thomas Cosgrove and mandolin player Charles Weston, had seen their friend John Brown leaning over the body. Brown was a “deep water” sailor whom the press would refer to as “Sailor” Brown. None of them knew who the woman was. ﻿﻿﻿﻿Three more people were arrested after Mrs. Lynch, another tenant of 27 Monroe told police she had heard fighting in the Hoey’s apartment. Following some noisy quarreling and door slamming, she heard a woman calling for water. Robert Hoey’s common law wife Mary was arrested along with two others who had been in the apartment that night, Mamie Largo and James Dee. Mary Hoey told police that “Sailor” Brown had been there with the murdered woman, but none of them knew her name. The police now believed that “Sailor” Brown had murdered the woman in the Hoey’s apartment. 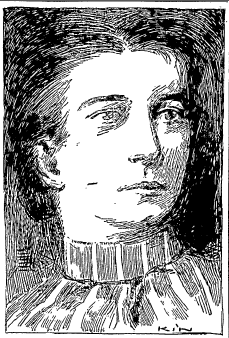 Jennie Isaacs, who kept a saloon at No. 19 Monroe Street, said she had seen “Sailor” Brown in her saloon with Charles Weston and his wife Mamie. After they left she saw Brown outside with the murdered woman. Charges were dropped against Hoey and Cosgrove as well. No one was ever convicted of murdering Maggie Crowley. "Strangler Mark on Dead Woman's Neck Told of Murder." 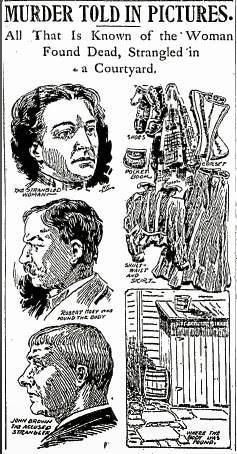 New York American 15 Mar 1898. "Murder Told in Pictures." New York American 16 Mar 1898: 2. "4 Men Arrested." New York American 16 Mar 1898. "Seven Murder Suspects Held." New York Tribune 19 Mar 1898. "More Clews to Dark Mystery of the Strangler." New York American 17 Mar 1898: 1. "Strangled Victim Positively Identified as Maggie Clark." New York American 19 Mar 1898: 7. "'Sailor' Brown Goes Free." New York Tribune 12 Jul 1898.